I asked my father about what my mother – God bless her soul – conveyed to me about the time when my father was detained by the police in Qatar almost 6 decades ago. My father smiled and traced the threads of the plot as if it happened yesterday. 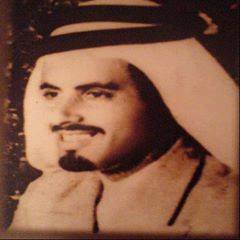 He said: “That was in 1957 before I married your mom and at the time we were in the company of Sheikh Khadem Bin Biti one of the dignitaries of Al Qbeisat Clan and the uncle of Sheikh Zayed (God bless his soul). We were on our way back from a visit to Fahd Al Dossari”. Then My father started to summon the details of the story with his uncompromised ability to reassemble events to from an enjoyable narrative. He was driving a car eager to catchup with Sheikh Khadem’s convoy and as he was about to overtake one of the cars he was stunned: a man riding a bicycle simply materialized in front of the car. At the spur of the moment, my father had one of two choices; either steer left and hit another car which will cause considerable havoc or go right and limit the damages. It was a split-second decision. “The grace of God made me go to the right side”. The car bumper embraced the bike rider. At that time, my father was enrolled in the Qatari police force, ironically in the traffic department. Being aware of the law and the way to act in such calamities; he seized pursuing the convoy and carried the injured man to the hospital and went on to inform the police. There, at the precinct, he met a Qatari policeman of Jordanian origins. The man appreciated the situation and the status of my father so he called the hospital to check on the casualty. The officer was informed that nothing can be disclosed and that the report will come out within 24 hours. “The man is under observation” the voice on the other side of the line cracked. The officer told my father that he should “stay with them” for the night. An office was rearranged for him to sleep and he was escorted in a car to his house to inform the family. My grandfather was asleep and my grandmother was told that there is nothing to worry about: “it’s just a routine” my father said; “I will be back in the morning”. My helpless grandmother could only utter prayers that all will be well. My mother said that a man dashed into the precinct that night thundering and foaming: “You will not detain my friend Ahmad for one single moment” he yelled ”and if you have to, I will stay the night with him even in a cell”. 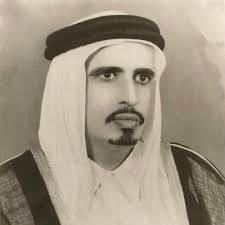 That was Hamad Bin Abdullah Al Atiyyah god bless his soul. In the morning, my father was bailed out by Hamad. The bike rider – ironically named Ahmad - was contacted and it turned out that he should be hospitalized for 5 days. He was asked to abandon the case; he refused to do so and insisted that “the law should have the final word”. The trial was on and Sheikh Ahmad Bin Ali Al Thani presided. The hearing was attended by Khalifah Bin Hamad and another British administrator. The verdict was voiced by Sheikh Ahmad: “Pay a fine of 400 Rupee; and by the way Ahmad, take the money from the council and pay it to the court”. My father saw what happened 60 years ago passing clearly in front of his eyes at that moment; “The Qataris were very generous both rulers and people. My God reward them well and give them his bountiful blessings” he said; “and by the way, I am still in touch with Ahmad”.